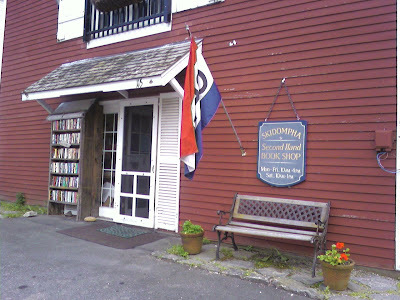 Here’s the best used bookstore in Maine, and believe me there are quite a few. 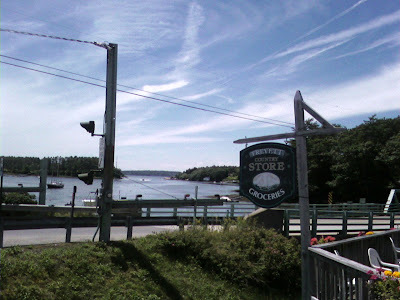 I’ve been to the ones in Bath, Boothbay, and Rockland — and they’re all pretty good — but this one in Damariscotta tops them all. It’s called SKIDOMPHA Second Hand Bookshop. The odd name comes from an acronym of the founding members of the library to which its attached, according to the Web site. The bookstore features a wide assortment of quality books, including many older out-of-print works. SKIDOMPHA is the kind of place where you just want to hang out all day and read the book jackets and first few pages. Best of all, the prices aren’t outrageous because it’s run as a charity for the library — all the books are donated. I walked out with a book on Confucius, Herman Hesse’s “Journey to the East,” a Hegel reader, and “The Transcendent Unity of World Religions” by Frithjof Schuon. I’d never heard of the latter but had to buy it because of the laudatory introduction. I nearly purchased a 10-volume set of Emerson’s complete works (for $20! ), but reason returned to me at the last minute. I finally just walked out, worried that I’d never stop finding interesting titles. Check out SKIDOMPHA Second Hand Books if you’re in the area. You won’t be disappointed.